How do you clean your bathrooms? Last week, we were the happy owners of a leaking shower. After tearing out chunks of our kitchen ceiling (our bathroom is above some of the kitchen), we found the culprit of the leak. While talking with the plumber, we got on the topic of cleaning products. He recommended, especially being on a septic tank, to clean everything with dish soap instead of all of the chemical products that I normally use. You use it to clean your dishes. If you didn’t trust it to really clean and to get rid of bacteria on your plates and glasses, you wouldn’t use it. Plates are a form of porcelain and ceramic–so are sinks, toilets, etc.. Dawn is the #1 thing used to clean animals when there are oil leaks. Most tubs these days are made of acrylic. Acrylic’s shiny finish will get scratched and over time become dull from the abrasives in the chemical cleaners. Metal finishes on the plumbing fixtures will also tarnish and fade over time from the chemical cleaners. Go check a bottle. Most tell you not to spray onto plumbing fixtures, including the drain cap. 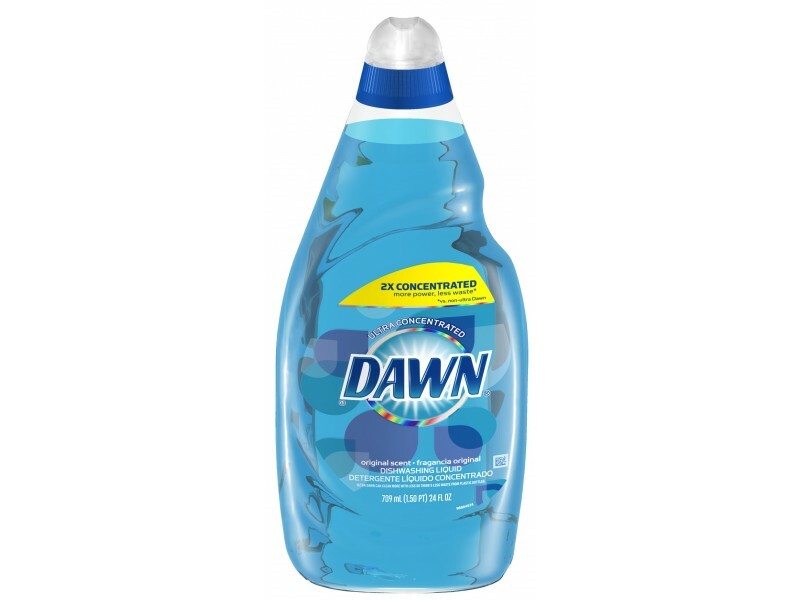 Dawn is now antibacterial (it has been for a while, but it used to not be). It will kill most everyday germs and break down soap scum better than most cleaners out there. 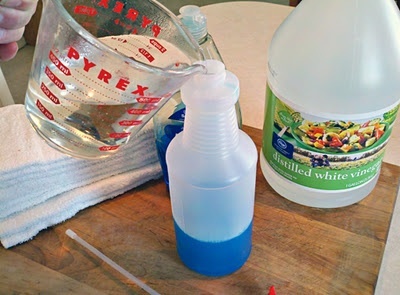 Bleach is one of the most abrasive things to use in your home. It eats finishes away. If you have a septic tank, it can damage it. I found several different recipes and processes of how to clean your bathroom with just Dawn. After compiling the different techniques and reading the comments associated with them, here’s what I have found that seems to work best. Use 1 t0 1 parts original blue dawn and warmed vinegar (most articles I read, heated it in the microwave for 2 minutes). Spray on the dry surface and let sit 15-20 minutes. You can wipe away the scum and then rinse the area. If the mixture is too wet and drips off of the walls, add cornstarch to help it stay on the walls. For every 1 cup of dawn and 1 cup of vinegar mixture, add 1 Tablespoon of cornstarch. Make sure to mix it in while the vinegar is warm so that the cornstarch dissolves and doesn’t make the cleaner grainy. Side note: The difference between the original dawn and ultra dawn is the concentration level. The ultra is more concentrated. Most people recommended the original because the ultra would be too soapy and took longer to get completely off the surface. I was not able to find the original dawn, so I adjusted my levels to have slightly more vinegar than dawn. I would love to know what you think. 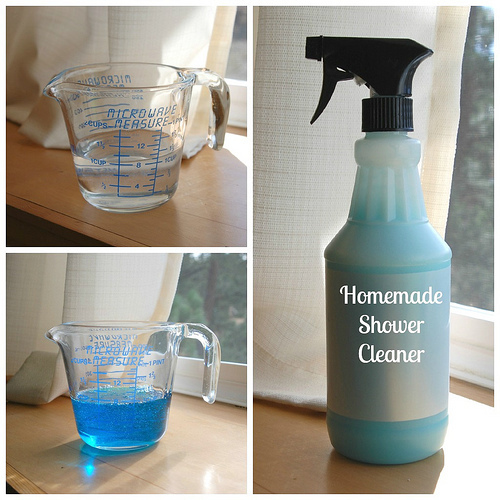 Are you willing to give cleaning your bathroom with dish soap a try?